InterNations Buenos Aires Event at MONA! We are very pleased to announce our next Official Event at MONA! Yes, we are back in Cañitas! Join us in this unique and sophisticated bar located in Las Cañitas. 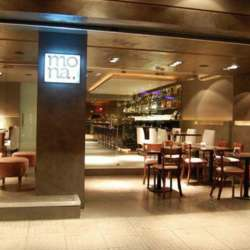 MONA not only offers you excellent cocktails and food, but it also seduces you with its lounge atmosphere. Good music, nice park and intimate lights make it a magic place! Don't miss the HAPPY HOUR! We love meeting new people so please don't hesitate to come if you are new in town or on your own - our events are the perfect opportunity to get to know our Community.